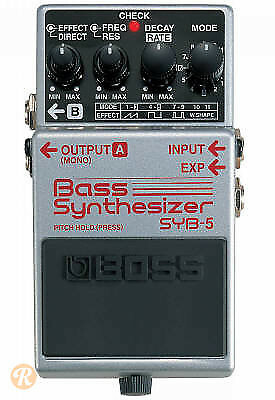 The modern successor to the iconic SYB-3, the SYB-5 expands the bass synthesizer palette using DSP technology. The pedal offers 11 DSP variations of saw, square, and pulse synth waves, with an Enhanced Wave Shape mode. The SYB-5 also allows you to hold notes with the onboard pedal and jam over the top.